A pineapple a day, keeps the doctor away… Wait. That’s actually an apple, isn’t it? Never mind. Perhaps pineapples can’t ward off doctors, but they can produce a few benefits you still might be interested in. Basically, bromelain is nature’s aspirin. So, if you are suffering from a chronic pain condition, like endometriosis or arthritis, a pineapple a day might actually keep the doctor away yet. 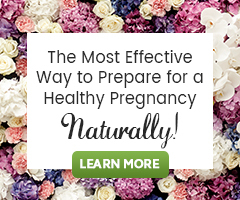 And if you are a woman struggling to conceive, it might accomplish far more than just that. You see, the benefits of blood thinners (in moderation, of course) during those months of “trying” is that they drive blood to the uterus, encouraging sticky embryos and reducing the chances of miscarriage. The fact that bromelain also functions as an anti-inflammatory means that it has promising benefits for your immune system, possibly preventing implantation issues which can be common for women who have inflammatory conditions. “Conception and implantation require an intricate shift in the immune system, specifically a shift from TH1 immune cells to TH2. Basically, this means conception requires an anti-inflammatory shift. It is possible that bromelain helps with this shift which allows implantation to occur…” shares women’s-health specialist, Naturopathic Doctor Elise Schroeder. Traditional Chinese Medicine has long touted the benefits of bromelain for fertility, and with science gaining a greater understanding of how the enzyme works – it becomes easy to understand why. There is a catch, however. Consuming too much bromelain at the wrong time in the cycle may be prohibitive to conception. Timing consumption of bromelain is important to support implantation. It may sound like a fine line to walk, but a little bit of information can go a long way when it comes to understanding how to use pineapples in your favor. First, make a point of staying away from this tasty fruit in the weeks prior to ovulation. The acidity can actually backfire against fertility at that point, causing your cervical mucus to become inhospitable to traveling sperm. It is also suggested that you avoid ingesting bromelain once you have a positive pregnancy test. According to licensed acupuncturist Heather Pentland at the New Leaf Healing clinic, ingesting large amounts of bromelain may cause mild contractions and slight thinning of blood which may not be supportive for implantation in very early pregnancy. That gives you an approximately 10-14-day window when eating pineapple could do you a world of good. 1. Purchase a ripe pineapple. Organic is always best. 2. Use a knife to remove the pineapples exterior. 3. Cut through the middle of the pineapple, from top to bottom, leaving halves to work with. 4. From each half, slice six to eight equally sized wedges. 5. After confirmed ovulation (or an embryo transfer, in the case of In-Vitro Fertilization), begin consuming one to two slices of pineapple each day. It is important to remember not to core the pineapple – you will want some core in each of your slices, as the core contains the highest concentration of bromelain. One to two slices are really the most you should ingest in a single day as well. And because of the blood thinning properties, you should also avoid taking aspirin (or any other medicinal blood thinners) while consuming pineapple on a daily basis. You won’t be able to achieve the same results with canned pineapple, as the heating process for canning is actually destructive to bromelain. That means going out and finding a fresh, whole pineapple – sticking to organic whenever possible. The wedges can be stored in your refrigerator and one pineapple should last you until implantation has occurred. 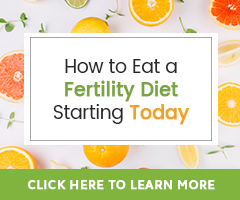 All you have to do is focus on enjoying your daily tropical fruit allotment, while envisioning a healthy embryo implanting safely into your uterus. If you are lucky, that pineapple a day will have you seeing a whole lot more of your doctor in the months to come – for only the happiest of reasons, of course! Leah Campbell has a degree in psychology from San Diego State University and is a professional writer. She is Author of the highly rated book Single Infertile Female and her work can be found in the Huffington post, Redbook, and many other publications.